Property 59: SUNNY APARTMENT IN FRONT OF THE PORT and NEAR CITY CENTER. 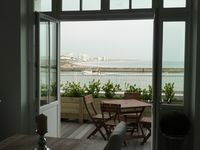 Apartment T3, in the city center, 100m from the port and the sea. Property 81: Apartment T3, in the city center, 100m from the port and the sea.